Spring is here and this month in the year of teaching teens life skills is all about getting outside! Four weeks of teaching teens yard maintenance and gardening skills that will help them out when they become homeowners. From starting a garden to mowing the lawn, join me in a month of outdoor learning when your child. Talk about the different things you can plant in your area. This growing zone by region from Better Homes and Gardens is really helpful. Start a garden with flowers or vegetables and put your teen in charge of caring for it this year. Don’t have room for vegetables? Herbs are a great way to start a small garden. Find recipes ideas together, that use the vegetables and/or herbs you planted. Get them involved in spring clean-up of the yard and house. Cleaning gutters, washing windows, power washing, etc. 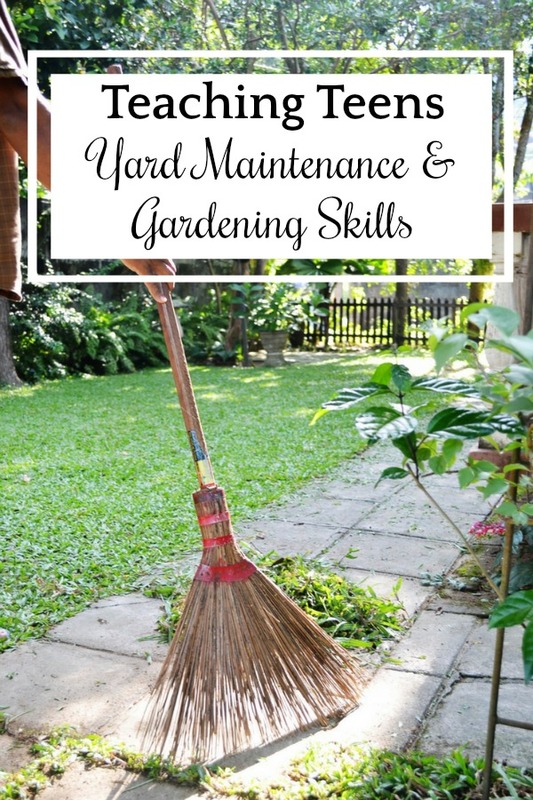 Mention the different tools needed to maintain a yard including a mower, rakes, shovels, ladders, etc. There is a proper way to dispose of certain products and yard waste, make sure to cover that as well. 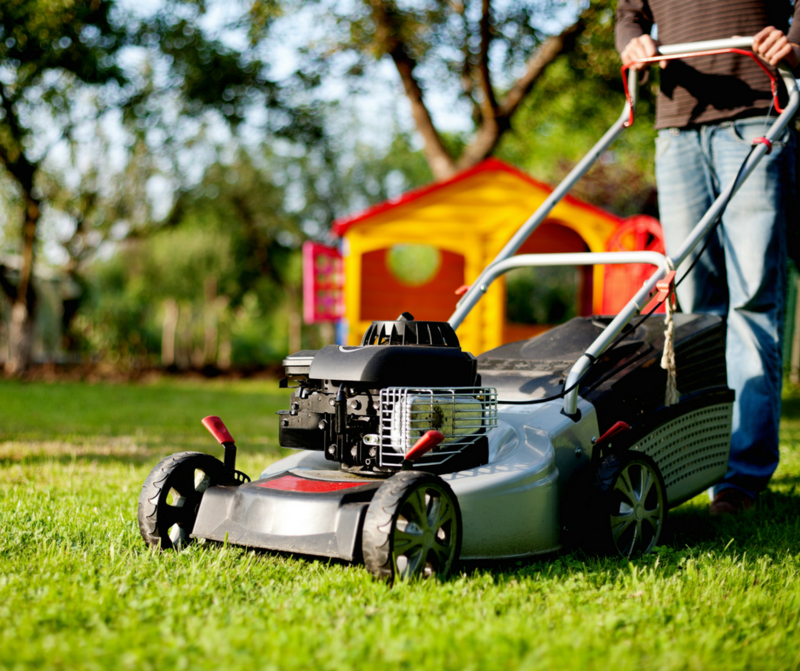 Discuss the different kinds of lawn care for the different season. Shoveling and salting in the winter, mowing and pulling weeds in the spring, watering in the summer, and raking in the fall. Show them how to operate a mower if they don’t already know, as well as mower safety and how and when to mow. If you have curbs and sidewalks talk about keeping them clean and clear. Homeownership can come with problems like leaky gutters, broken shingles, and ripped screens. Talk about the different problems to look for outside. If you know how show them how to fix the problems as you find them. Tell them about the different city departments who handle various situations they may encounter.